People who donate money to Help for Heroes are not only backing our government's immoral and unsustainable decision to fight resource wars they are paying an additional (albeit optional) war tax. Furthermore, when they stick their sicker up they are voluntarily furthering the propaganda. Both actions increase the chances of young soldiers from this country being exposed to the horrors of war and prolongs our unsustainable dependency on foreign lands to sustain our way of life. In June 2011, the charity Help for Heroes announced that it had raised £100m in under four years. In a remarkably short period of time it has become one of the most successful and most visible UK charities; but is it actually good that a charity is taking on the care and support of wounded soldiers? Donating money to Help for Heroes subsidizes war. The ‘gift’ or charitable donation reduces the total costs that the government should spend thus facilitating current and future conflicts. These donations reciprocated with the ubiquitous patriotic stickers also serve as insidious propaganda, implicitly implying that the wars being waged by our government are moral and worthy of our support. I was one of many millions that protested against the Iraq war in 2003. Despite our efforts and despite the lack of a UN resolution our government sent (mostly) young men overseas to kill and maim. 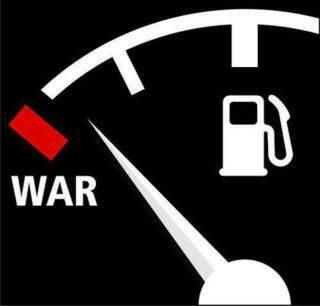 Even if you approved of this war you will most likely agree that a government should never wage war ill prepared. They should be able to afford every aspect of the conflict, not just the million-dollar-missiles but especially the correct equipment and proper care for wounded soldiers. The success of Help for Heroes not only diverts funds away from other charitable causes it reduces what our government should be spending if it intends to honour its commitment to the heroes it is sending abroad to fight, many of whom will not understand the underlying reasons for the war. For me it is criminal that the UK government takes the money I pay in tax and uses it to fight resource wars. It is abundantly clear that this money should be spent on making our nation more efficient and resilient, for example, by promoting local energy production, local manufacturing and self-sufficient, local communities. These kinds of investments would spare the citizens of other lands whilst strengthening our own country's adaptability to the environmental changes which will be ramping up over the coming years. People who donate money to Help for Heroes are not only backing our government's immoral and unsustainable decision to fight resource wars they are paying an additional (albeit optional) war tax. Furthermore, when they stick their sicker up they are voluntarily furthering the propaganda. Both actions increase the chances of young soldiers from this country being exposed to the horrors of war and prolongs our unsustainable dependency on foreign lands to sustain our way of life. If we really want to help the soldiers who joined our nation's military, lets bring them back from the dangerous, immoral and frankly unwinnable foreign wars we are fighting and engage them in the urgent work that needs doing to make our nation sustainable. By taking this lead we will not only be helping UK soldiers and citizens we will be making a bold and brave move towards a new kind of nation state; one that is self sufficient, stable and cooperates with other nations for a global sustainability rather then competing for increasingly scarce resources: a one way ticket to a bloody oblivion.